At Virtue Law Firm, we do understand that your business needs the best advice there is to thrive. As such, we do strive to provide the necessary expert advice for businesses of all sizes. It doesn’t matter if yours is a start-up or a multi-national corporation, we got you covered. We pay attention to detail and strive to provide personalized services to our clients. The clients we have do know that retaining us as their business lawyers provides them with individual attention, expert skills and capabilities that do compare to large corporate-commercial law firms in the city. With our group of experienced lawyers, your business does get business advisors that can help you in all matters related to business law. We are able to help our clients in their day-day business needs in addition to helping them understand their responsibilities under given provincial and federal legislations. 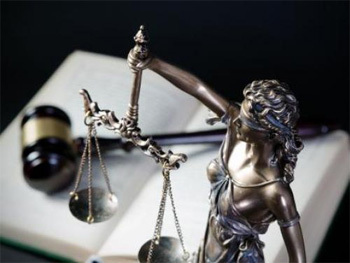 In addition, our lawyers are in position to help advice clients on as well as help them oversee complex issues such as mergers, acquisitions, extra-jurisdictional expansion in addition to shareholder disputes. There are a number of business lawyers and law firms out there, however, our clients do appreciate the expert knowledge in business law, complete with personalized services that we provide which is why they choose us. Our clients do value the ability to have a primary contact within the firm, which contact is always accessible to them. Besides having a primary contact within the firm, our clients also do appreciate the benefits that come with the collective experience and skill of the entire team. In addition, our integrity and honesty also comes into play in as far as our clients are concerned which is why they choose us. We do strive to provide our clients with realistic expectations on the different circumstances that arise. Overtime, we appreciate that as clients get to know us and come to trust our skill and responsiveness, they tend to come to us for legal services outside of business law. As such, we do also represent clients in family law, estate planning, and real estate transactions.